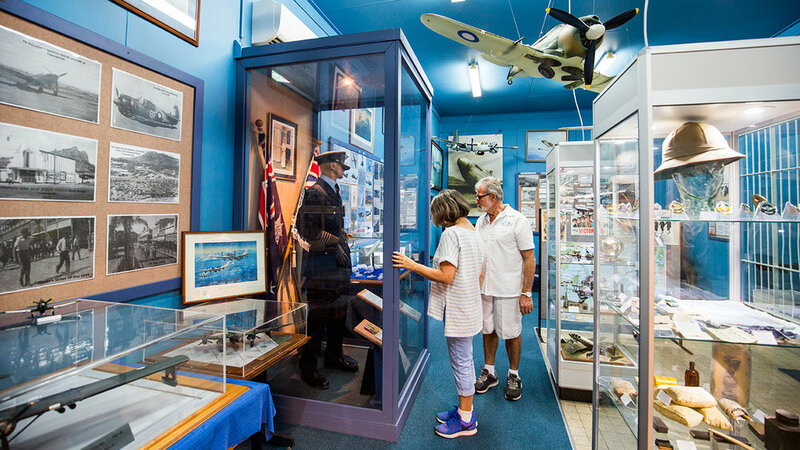 Delve a little deeper into the story of Townsville North Queensland and spend a full day exploring all our vibrant city has to offer. 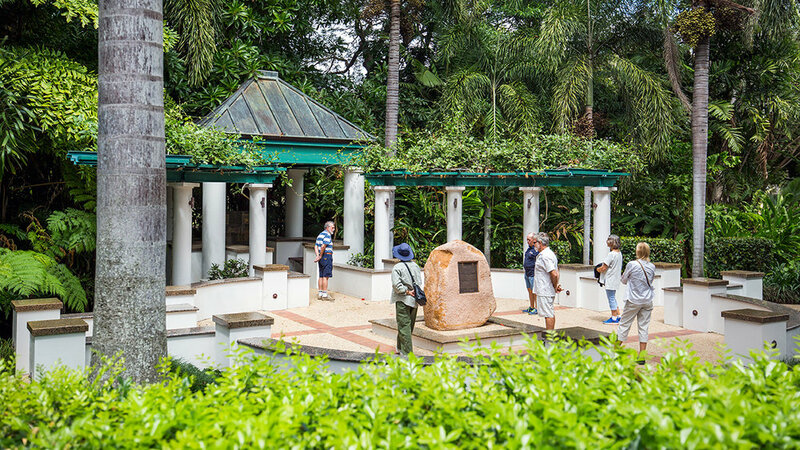 Your morning will be spent uncovering Townsville’s fascinating military history before stopping for lunch at the beautiful Tumbetin Tea Rooms set in lush tropical gardens. During your afternoon you’ll be given the opportunity to take in the most scenic spots of Townsville North Queensland. You’ll hear stories of the city’s 150 year history and discover the plans that continue to see Townsville North Queensland evolve into one of the largest and most dynamic regional cites in Australia. Note: All the package tours pick up & return from your accommodation. Experience three of Townsville's best activities at a great saving to you through direct sale on this website. 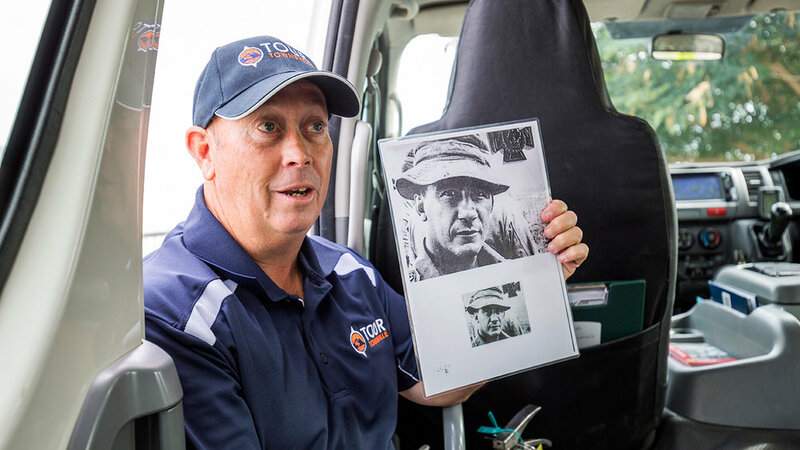 Chose one of Tour Townsville's full day history and scenic tour packages plus receive entry vouchers to Reef HQ, the largest living Reef Aquarium in the world and the Museum of Tropical Queensland. This award winning museum is right next door to the Aquarium. That's two full days worth of activities and entertainment, plus lunch included on the first day. The package would normally cost $193 per adult - you save a minimum of $28 per adult or $56 per couple and more savings as a concession card holder. You also have the flexibility to choose when you do each activity. How it works: Call us direct on 0408 555 887 or push the booking/payment button below and when you get to the appropriate section you will be asked to choose between the two different full day tours and to select the day you wish to travel - all done! See you on the day when we pick you up from your accommodation. We will have the discounted entry vouchers ready for you. If staying longer than two days in Townsville, it gives you complete flexibility as to when you use the entry vouchers. 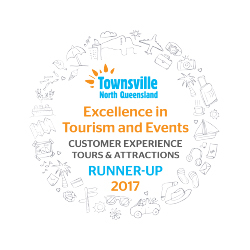 This full day tour will give you the opportunity to discover the best of Townsville City as well as some of the gems lying on its outskirts. 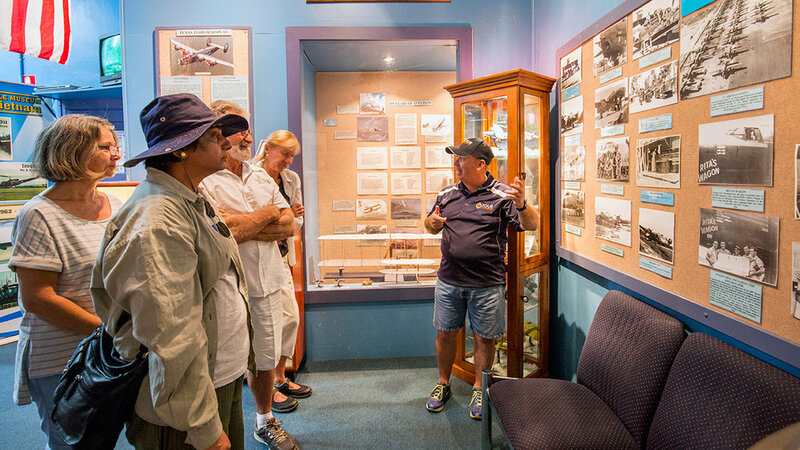 During the morning you’ll see our River-Way precinct and hear about the early explorers of the area and how the foundations were laid for Townsville to become the largest city in northern Australia. 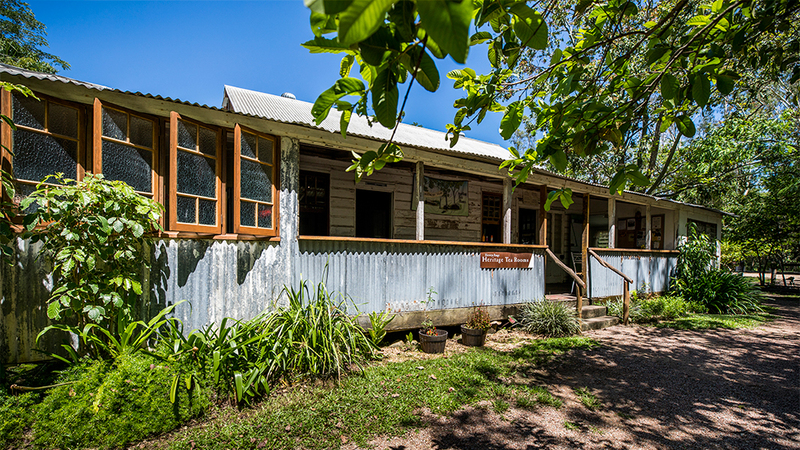 Step inside to enjoy a delicious lunch surrounded by memorabilia from yesteryear at the Herveys Range Heritage Tea Rooms, the oldest building of its type in North Queensland and one of the few slab sided Inns left standing in Australia. 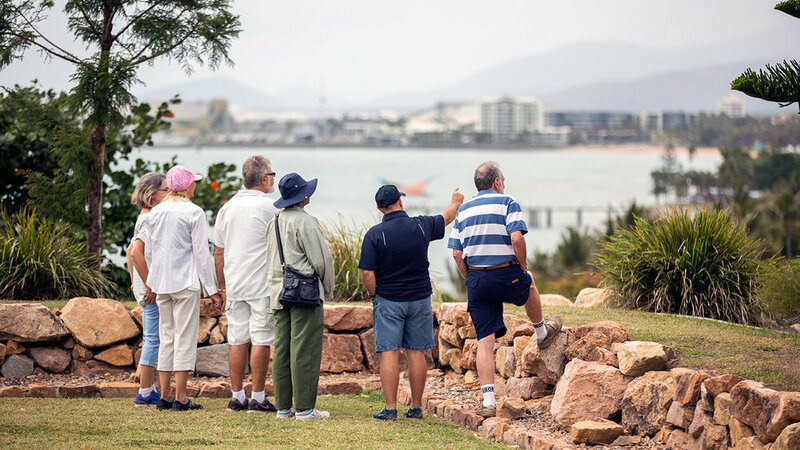 During your afternoon you’ll be given the opportunity to take in the most scenic spots of Townsville city. 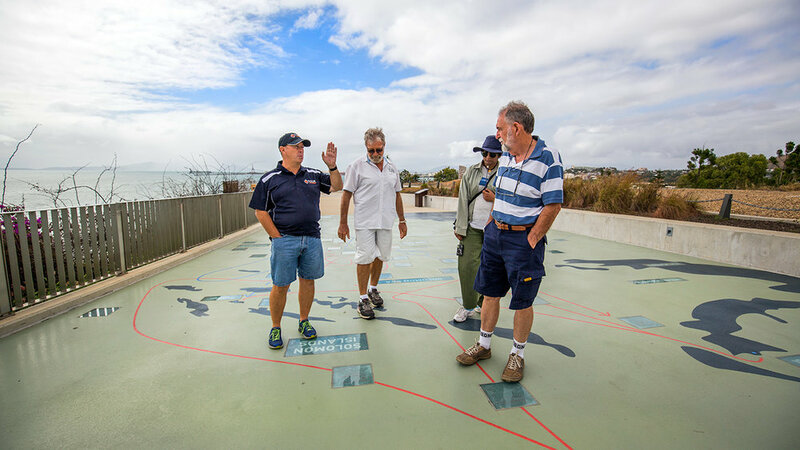 You’ll hear stories of the city’s 150 year history and discover the plans that continue to see Townsville North Queensland evolve into one of the most dynamic regional cites in Australia.